the Scientific Conference organized by the Lebanese army in Beirut. He stressed that peaceful demonstrations are a real threat faced by the Syrian regime because it could turn into an armed revolution. Therefore, a peaceful demonstration will be controlled. But he admits is very hard to achieve this goal. He pointed out that "death squads" specially designed. Subject only to the oversight of the security forces alone. And national legal institutions can not give any verdict to the army regime of any crime committed. 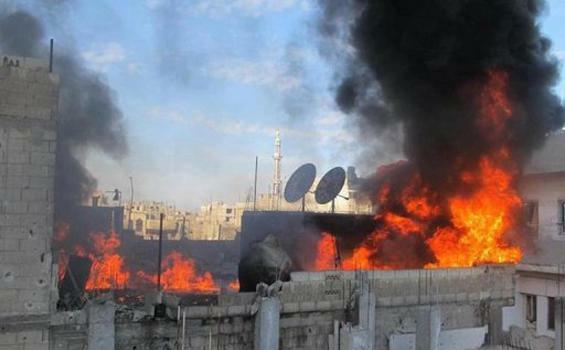 Meanwhile, the opposition Syrian National Council accused of masterminding bombings that rocked the capital on Thursday. A member of the National Council of Samir Nashar said: "The Syrian regime is what is behind the bombing to impress the observer that they were in danger. Well as to convey to the international community that the armed groups and Al Qaeda threatens Syria". Nashar also added: "If Al Qaeda and terrorist groups that carried out bombings, why not do the bombing during the legislative elections to prevent the Syrians to participate? '.